Haivision has introduced the Viper 1.1, for distributed multistream content recording, streaming, and publishing. It is the latest revision of its compact appliance combining dual-channel HD encoding, low-latency secure streaming, video on demand, and a contextual multichannel record-review-publish workflow—all within a single chassis. With the new release, the company is also introducing the Viper VF, a companion to the Furnace IP video distribution system, tailored to installations where many rooms need the ability to record independently and then publish the assets to a central video-on-demand system. "The Viper was conceived to address the specific challenges of institutions that need many rooms to record multichannel content actively at any time without relying on networks or central server resources," said Peter Maag, chief marketing officer of Haivision. "Today, the Viper is the most powerful media appliance, whether it's serving as a stand-alone, out-of-the-box IP video system or addressing the needs of distributed content recording." 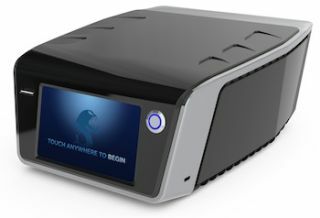 A user-controlled multistream appliance, the Viper is ideal for capturing, streaming, and publishing events relying on multimedia sources — such as lectures that include both the instructor and an interactive computer display, corporate presentations combining a podium shot with rich media presentations, or medical skills labs or procedure rooms with multiple camera angles or sources. The Viper streams and records two real-time, full-frame-rate, HD H.264 streams containing either HD video or computer graphics content. The multistream content can be streamed and recorded simultaneously, and accessed securely through Haivision's browser-independent InStream player. Viper appliances enable users to set up multichannel sessions, initiate simultaneous streaming and recording, and make content available automatically for on-demand viewing. Remote viewers can watch live multistream HD content simply by clicking a Web link and launching the "zero-install" InStream player. With the new Viper VF for distributed multistream recording, users can record, review, and publish content, leveraging a powerful centralized Furnace video-on-demand system. To simplify contributor and consumer privileges, users can assign media rights for each Viper via the central Furnace conditional access administration.